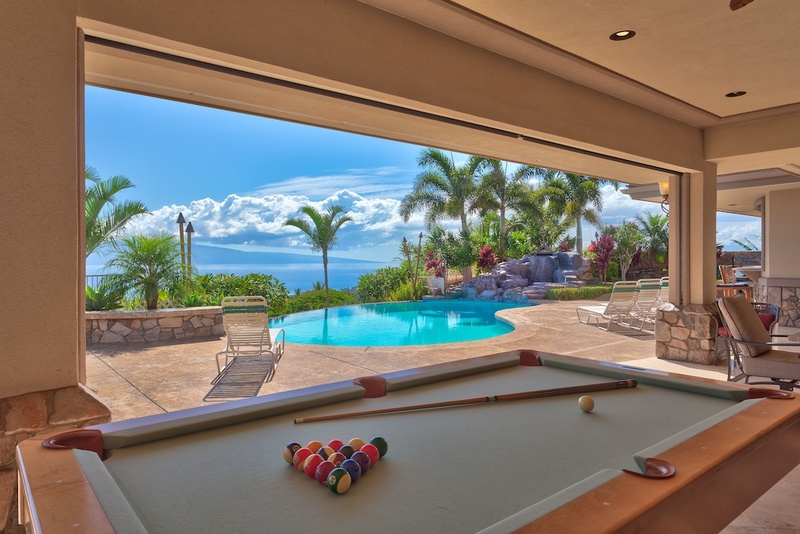 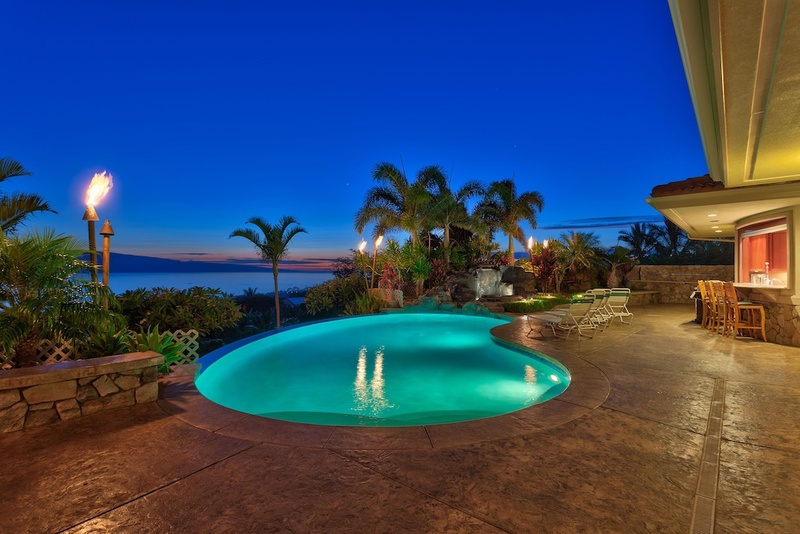 Exquisitely crafted pool home offering sweeping, WIDE OCEAN and ISLAND VIEWS. 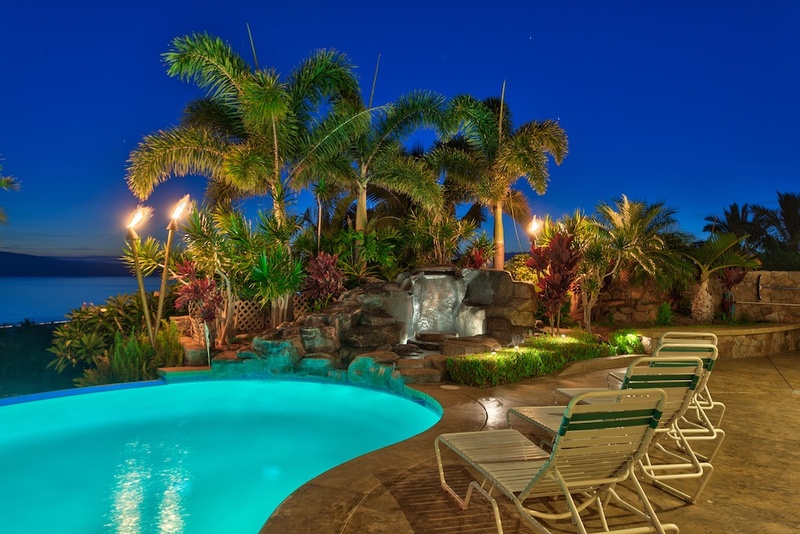 Exceptional builder's beauty! 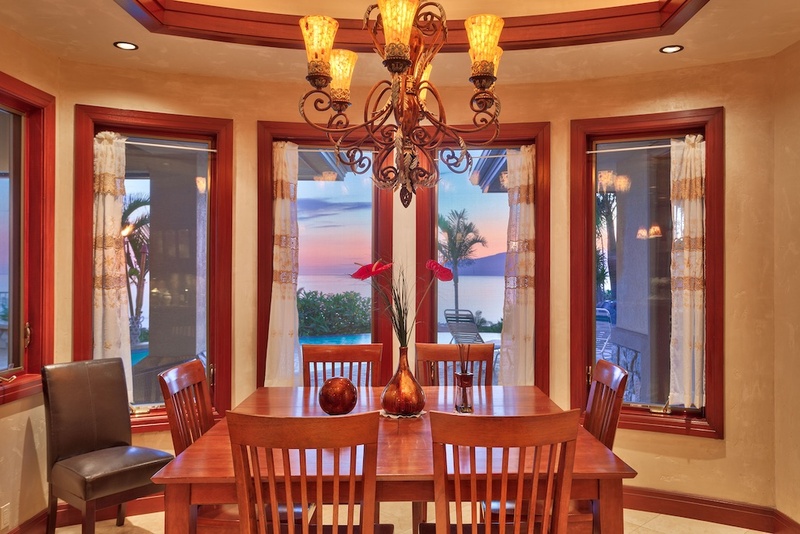 Exquisitely crafted home offering sweeping, WIDE OCEAN and ISLAND VIEWS. 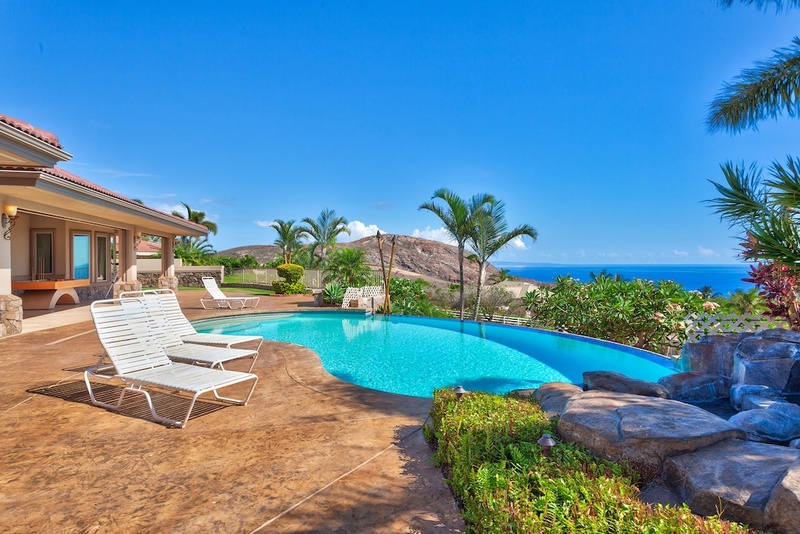 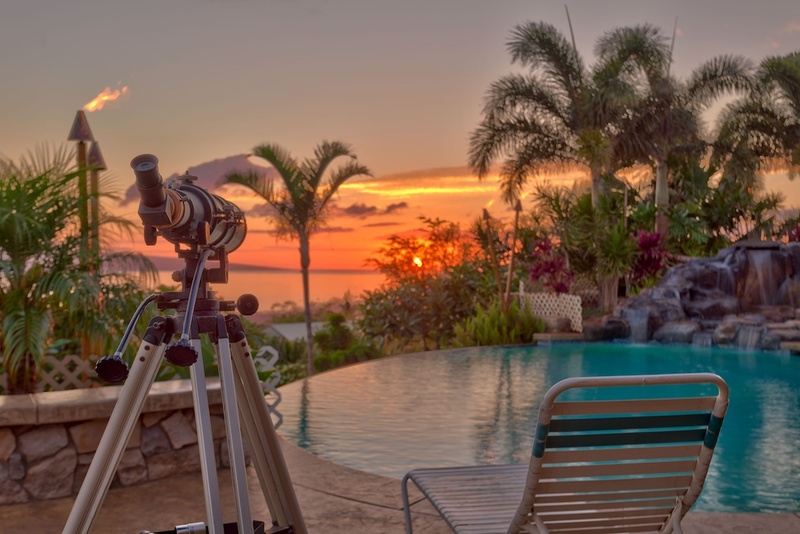 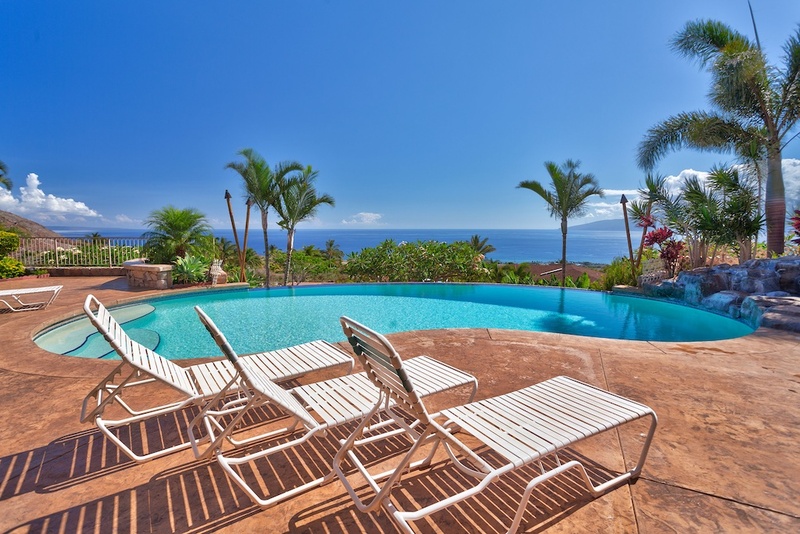 Built on the slopes of the West Maui mountains, this private 2.397 acre estate offers Maui Lifestyle Living at it’s finest. 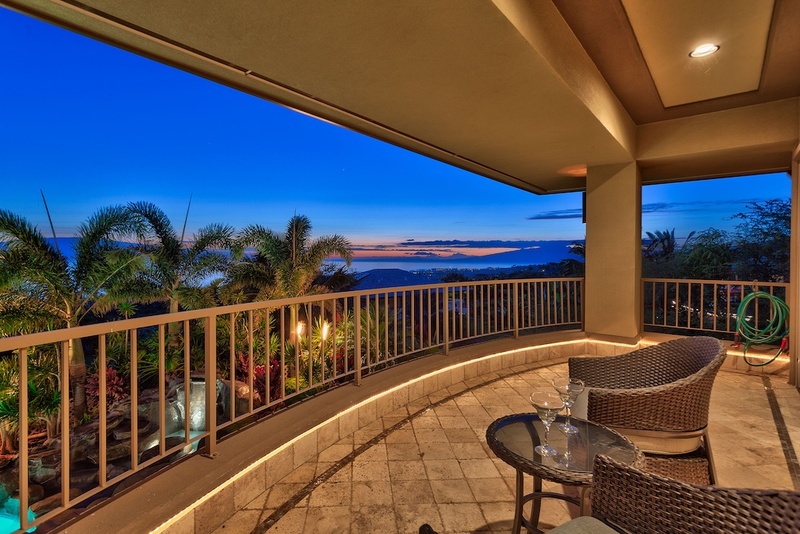 Gated entry opens to the 3,995 sf executive residence offering 4 bedrooms and 4 ½ baths, a spacious, luxurious open living area with incredible views out over the pool and waterfall to the beautiful, blue Pacific. 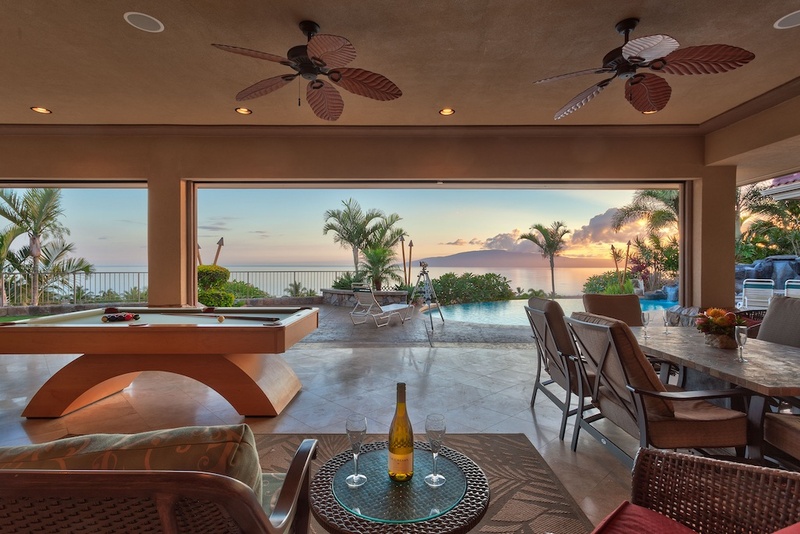 Powered pocket sliders open to a large, covered lanai offering seamless indoor/outdoor living. 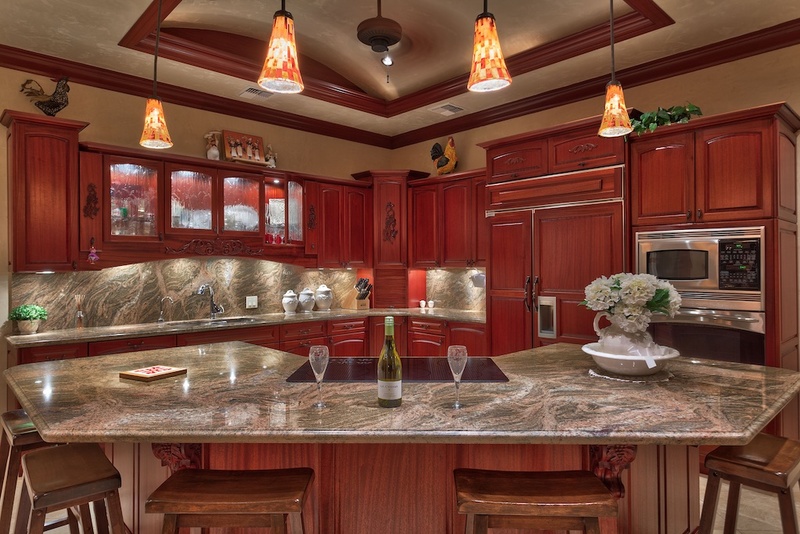 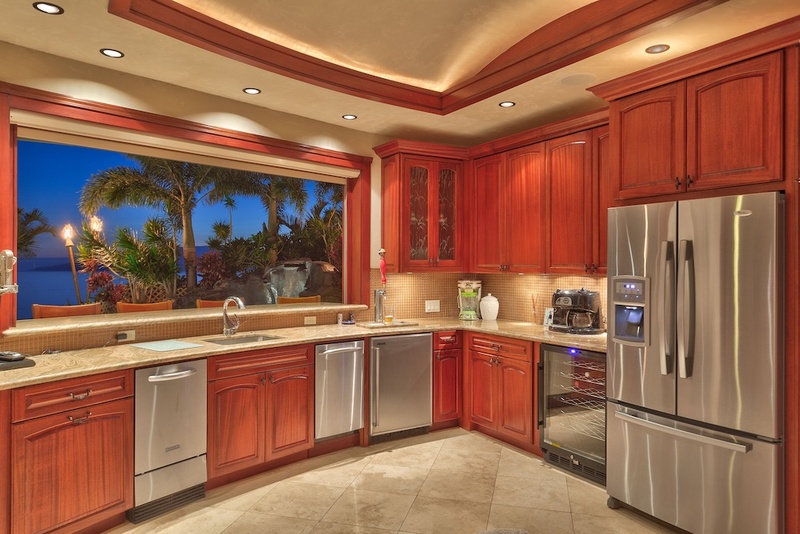 Gourmet kitchen with rich cabinetry and granite counters adjoins a private, casual dining area. 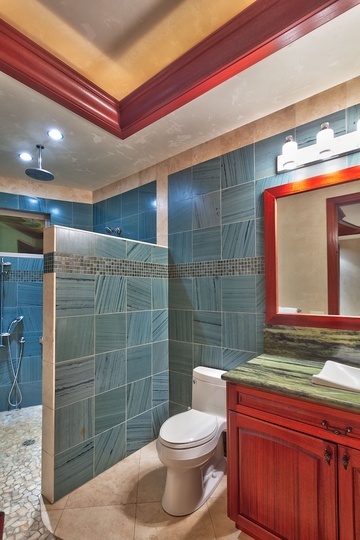 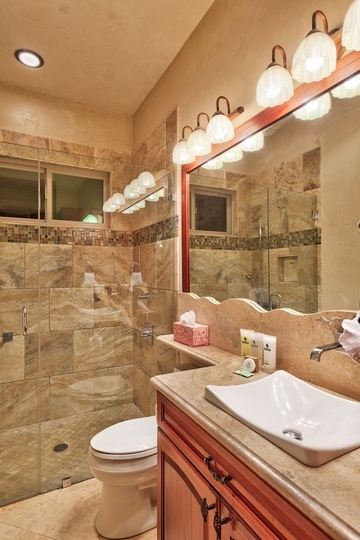 Enjoy the professional style pool side bar complete with an impressive, tropical style resort bathroom. 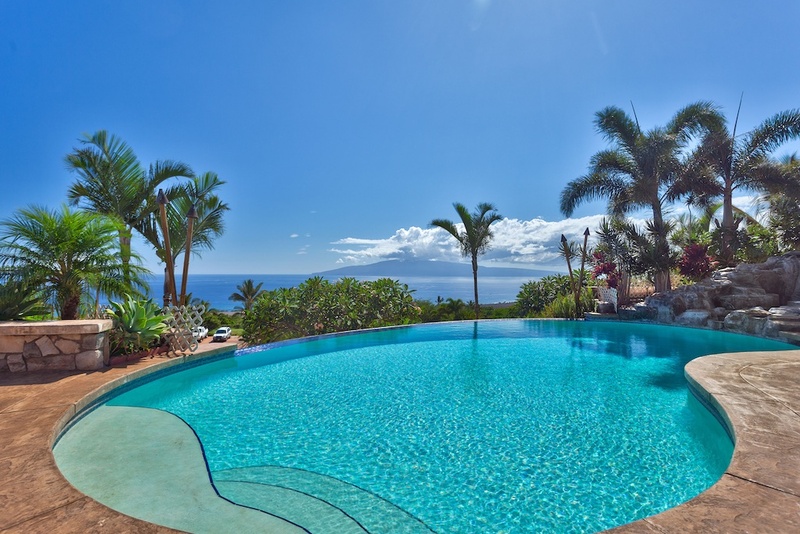 Tropical drinks and a dip in the pool. 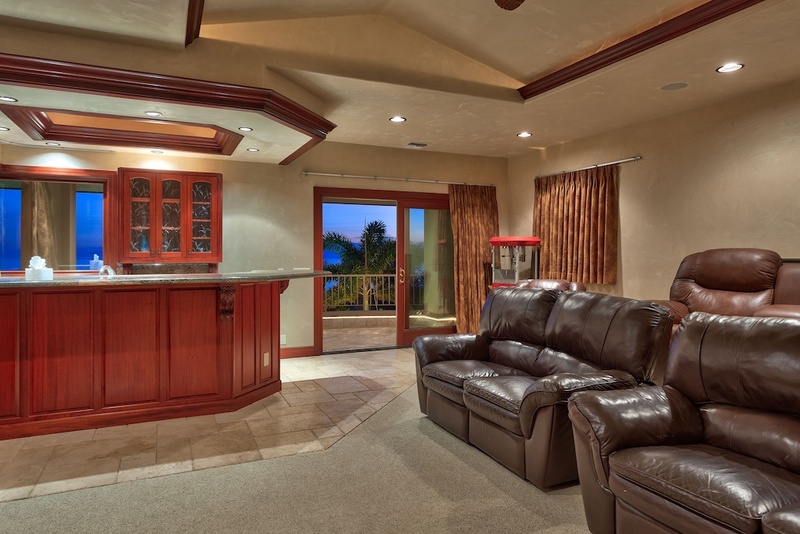 Later, relax and take the elevator up to the theatre and inside bar. 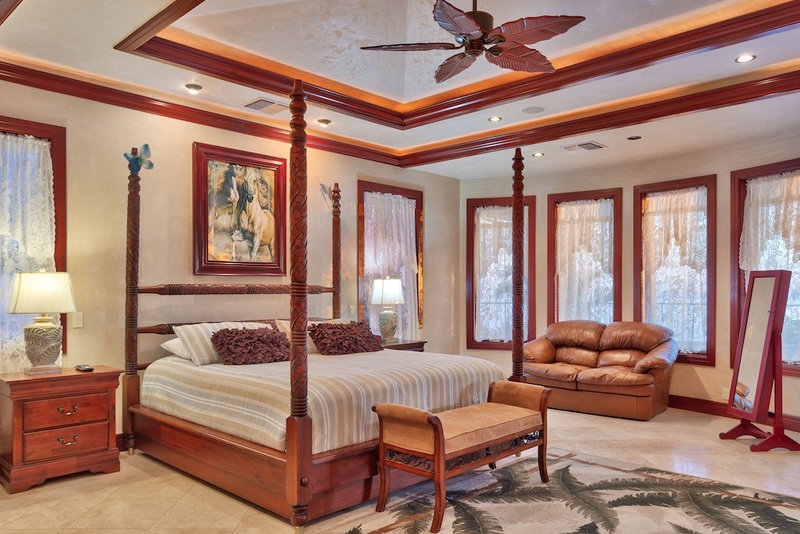 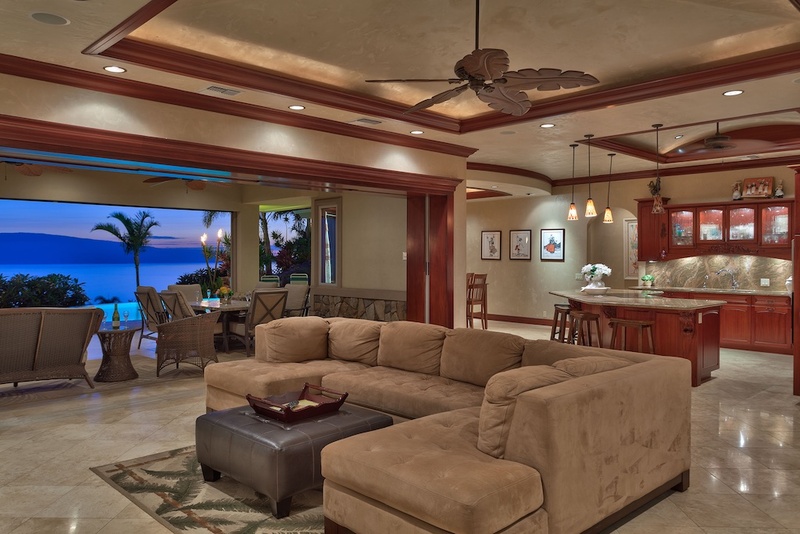 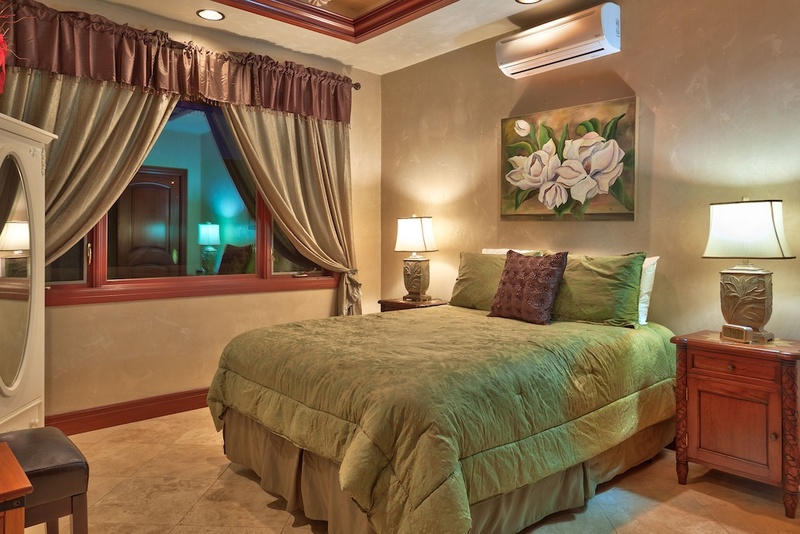 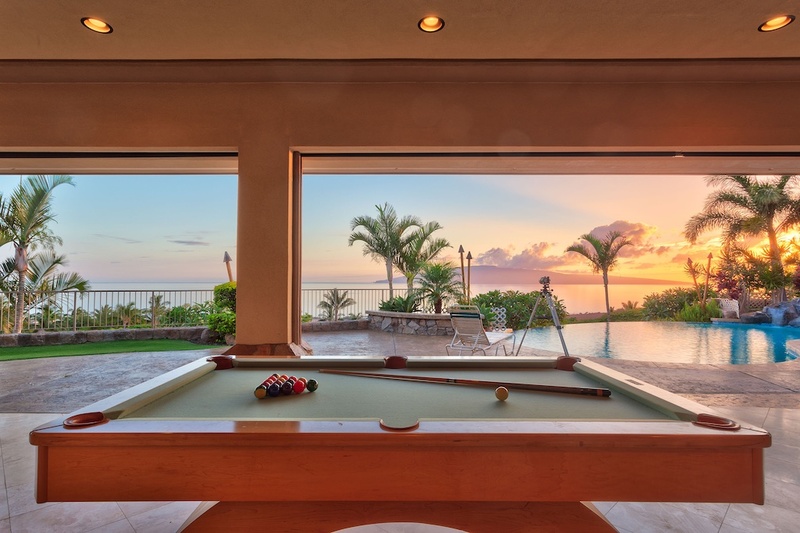 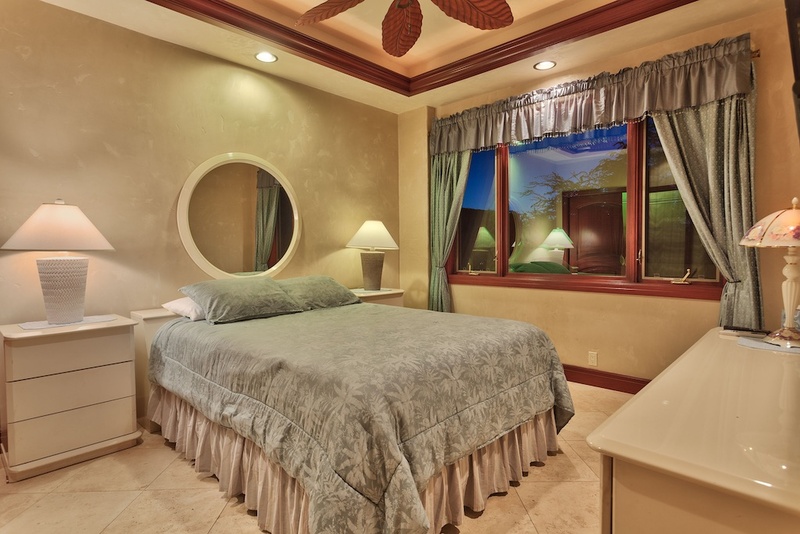 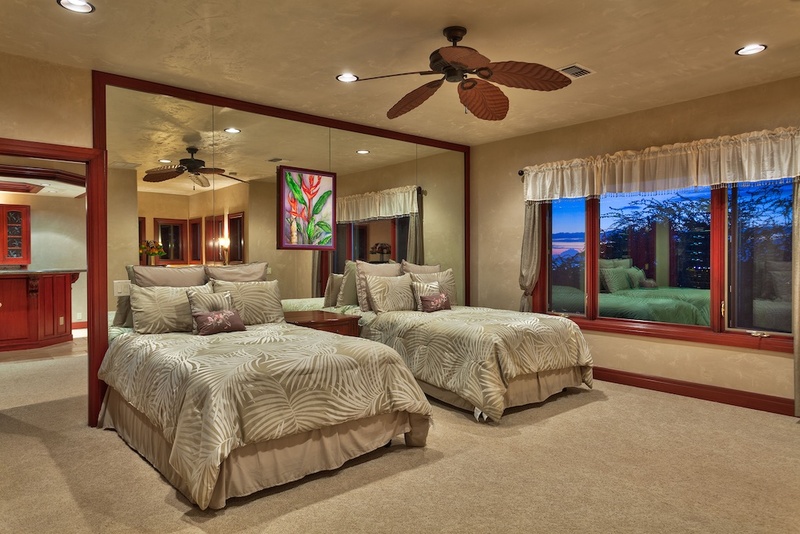 This home is beautifully crafted and built by one of Maui’s finest builders using quality materials throughout. 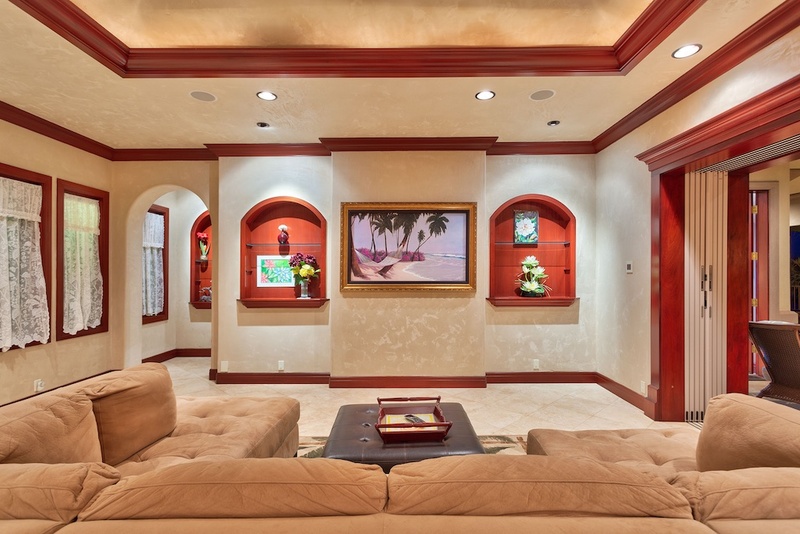 Appointments include Imperial Plaster walls, tumbled travertine flooring, recessed lighting and rich granite counters throughout the home. 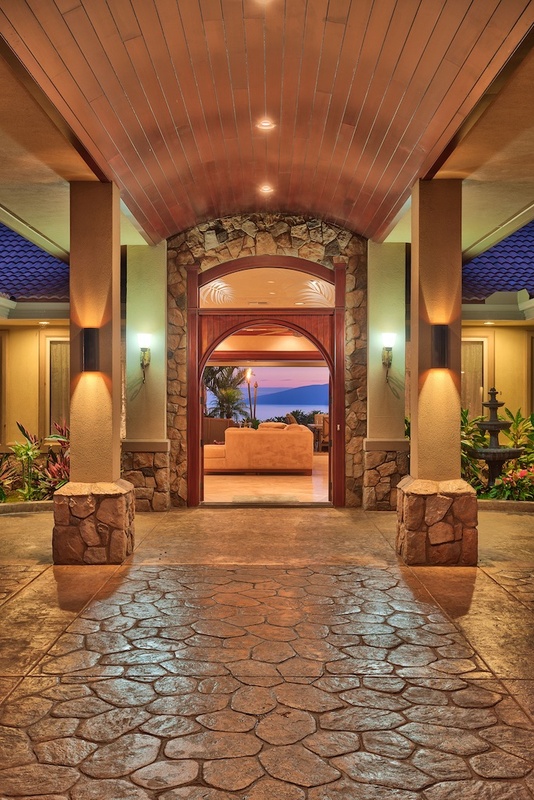 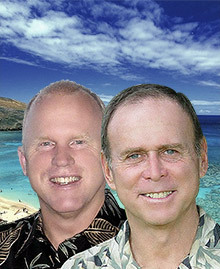 Separate driveways to the private 2 bedroom Ohana as well as the 1,650 sf auxiliary building.